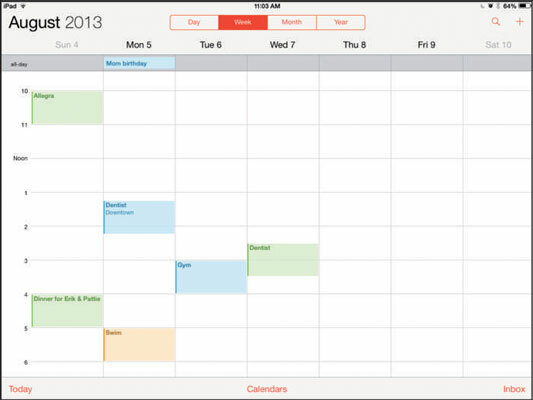 The Calendar app on your iPad is a simple, elegant, electronic daybook that helps you keep on top of all your activities and appointments. Whether you’re retired or still working, you have a busy life full of activities (even busier if you’re retired, for some unfathomable reason). 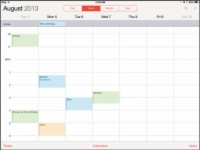 Calendar offers several ways to view your schedule. 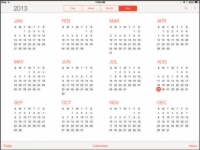 1Start by tapping the Calendar app icon on the Home screen to open it. Depending on what you last had open, you may see the day calendar or the weekly, monthly, or yearly calendar with today’s date highlighted. You might also see an open event. 2Tap the Today button at the bottom of the screen to display Today’s view (if it’s not already displayed) and then tap the Search button and you see all appointments. 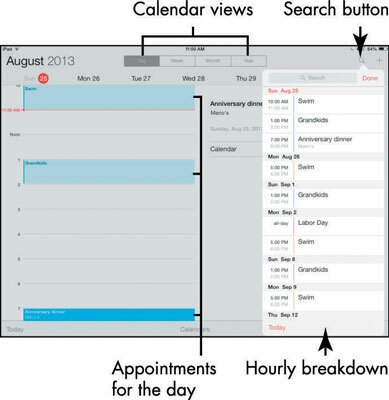 The Today view with Search open displays your daily appointments with times listed on the left page and an hourly breakdown of the day on the right page. Tap an event on the list on the left to view more details. 3Tap the Week button to view all events for the current week. 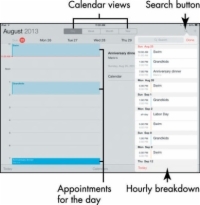 In this view, appointments appear against the times listed along the left side of the screen. 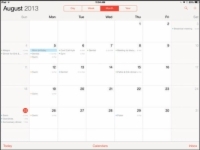 4Tap the Month button to get an overview of your busy month. In this view, you see the name and timing of each event. 5Tap the Year button to see all months in the year. You can quickly move to any month from this view. 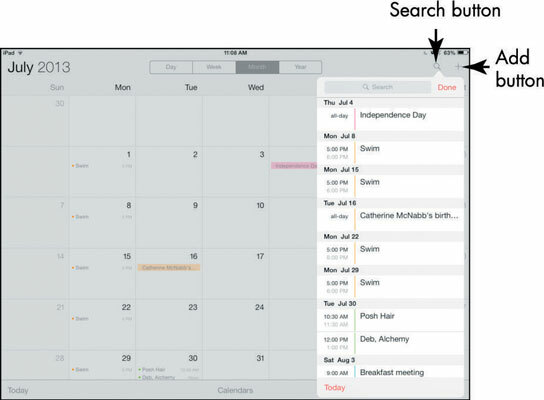 6In any calendar view, tap the Search button to see List view. This view lists all your commitments in a drop-down list on the right side of the page. 7To move from one month, or year to another, use your finger to scroll up or down the list. 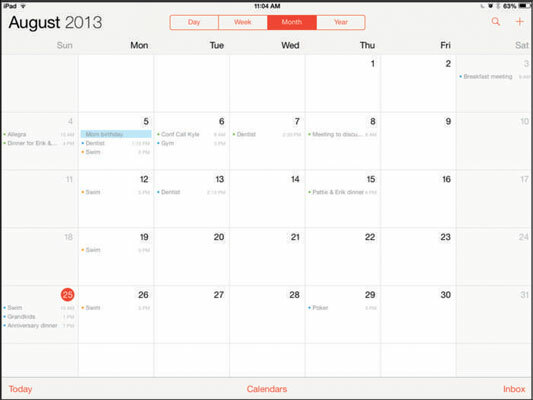 To jump back to today, tap the Today button in the bottom-left corner of Calendar. 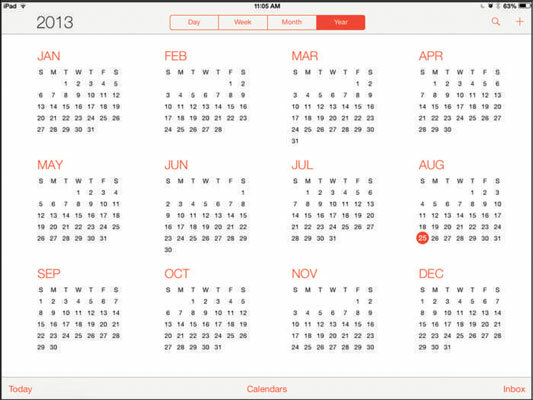 Portrait and landscape orientation of your iPad with the Calendar app gives a slightly different look. Play around with turning your iPad in different directions to see which one you prefer to work in.